On the beach at An Corran, Staffin, are some remarkable footprints. They were left by a family of dinosaurs that walked across the sand here some 165 million years ago. To put that in context, the gabbro rocks of the Cuillin were formed about 60 million years ago, and they were carved by the glaciers of the last ice age on Skye just 11,000 years ago. These are very, very old footprints. To be able to see and touch them in-situ is an amazing experience. There is a sense of connection with these beings from an unimaginable distance in time. The dinosaurs that passed here were Ornithopods, herbivorous creatures who walked on two legs. 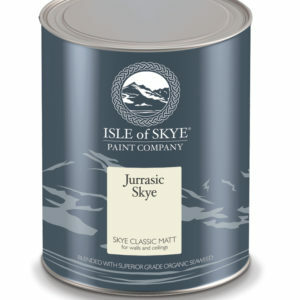 They, along with the carnivorous Megalosaurus and the omnivorous Cetiosaurus and Stegosaurus, contribute to Skye's reputation as the 'dinosaur isle'. There are very few old-fashioned thatched cottages to be seen today in the Highlands. A hundred years or so ago thatched houses were very much a part of the Highland scene and within their walls, by the light of the peat fire – the crofters of the Islands kept alive the songs and stories which have made the Hebrides famous throughout the world. Just below the bridge where the main road between Portree and Dunvegan crosses the River Snizort, close to the Skeabost House Hotel, there is a well hidden and fascinating bit of Skye's history - St. Columba's Isle.